If ever a project incorporated multiple varieties of construction with both design and building proceeding at the same time, it is Moody Gardens. This project is a master planned multi-use 250-acre complex, which has been in continuous development for over 20 years. 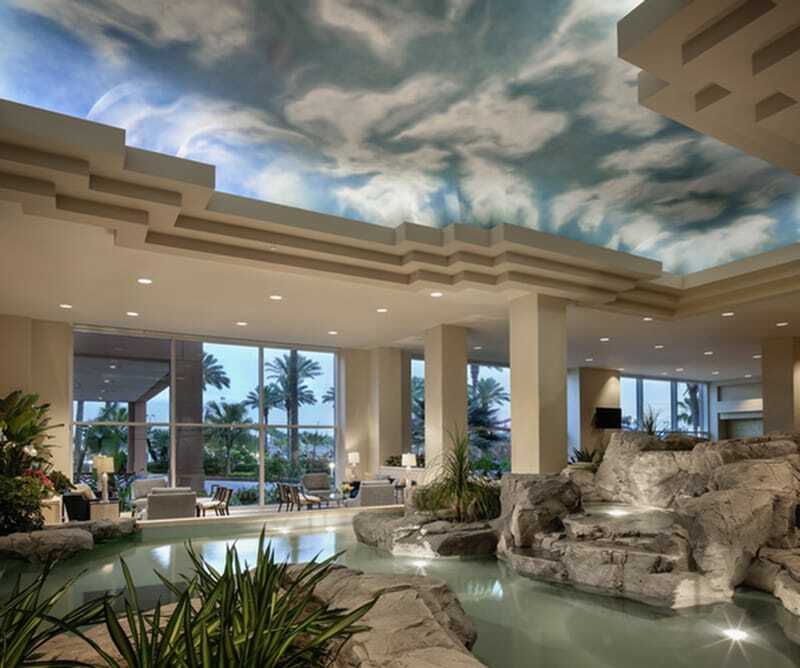 As part of a continuing alliance with Moody Gardens, Gilbane has provided design oversight and construction management services for the complex. 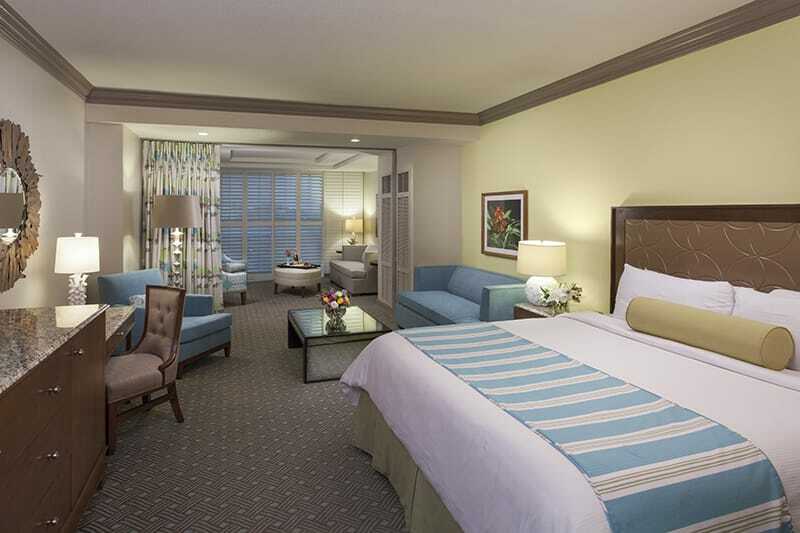 Gilbane has served as the construction manager on all phases of The Moody Gardens Complex. We have faced multiple unique situations with building on Galveston Island and have responded with workable solutions to successfully complete all projects. Such issues include: dealing with precast piles reaching 80’ depth; dewatering systems; building humidity issues; structural fill of 5’ – 7’ per building to raise above the acceptable sea level for flood insurance; water treatment facilities; and assuring wind load testing is performed on critical areas. Phase III – Included the addition and renovation of the Hope Arena, conference center, pier and dock facility, 100-foot glass pyramid conservatory and tropical rain forest, 400-seat 3D I-Max theatre, visitors center and 300,000 gallon water treatment facility. 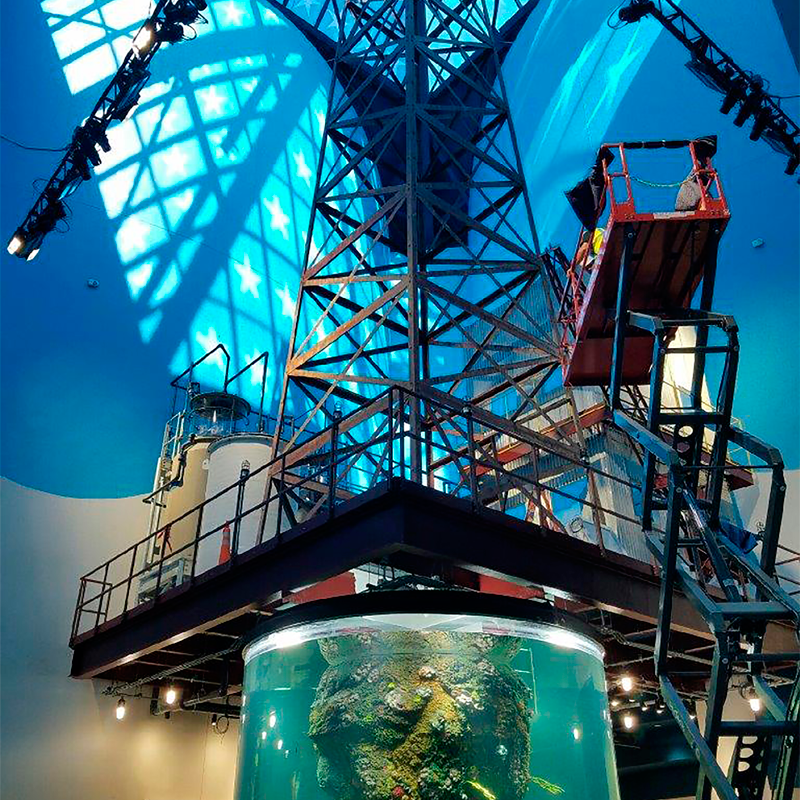 Phase IV – Included a new 100-foot glass pyramid housing a state-of-the-art aquarium with four major exhibits and an ocean theatre. 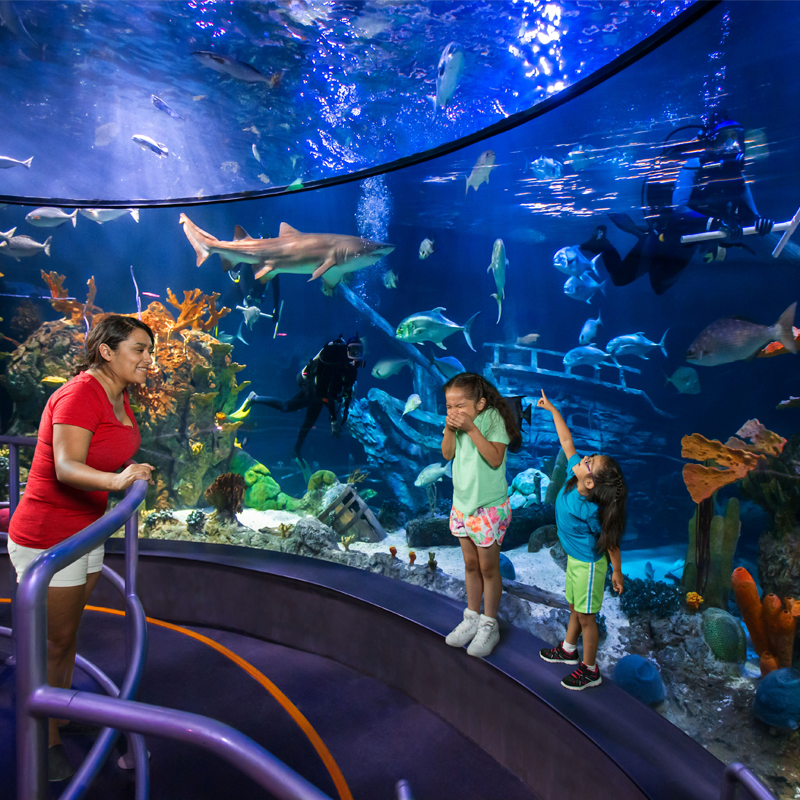 The facility has a 1,000,000 gallon and three 250,000 gallon tanks housing hundreds of species of marine life and a new 100-foot glass pyramid discovery museum including a NASA exhibit and three I-Max ride theatres. Phase V – The most recent $130 million phase included construction of a 128-room hotel expansion, a convention center expansion.